Only nice Flash games - hundreds are selected from thousands. Description: Almost a mini football. It's great that no one under the feet is not confused. 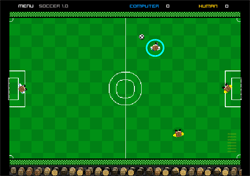 Control: Manage the mouse: move the cursor on the player, take the ball and hit the left button. Description: Lego players in front of you. 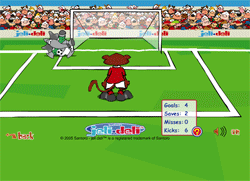 Controlling the mouse, drive into the goal from the penalty spot. Several attempts video repeated several levels. Control: Mouse control. 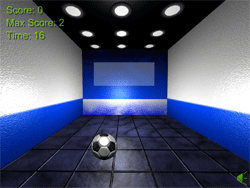 Choose a place for the player to hit. Description: Goal Shooting elephant. To do this, enter the monkey what point you have to beat the gate. Description: Football. That's only one you're playing against an entire team. Description: 3 difficulty levels can play together. Control: There it is painted. 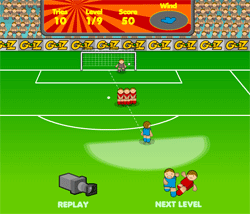 Description: The game is dedicated to the popular game Super Cup. Feel Yartseva move the player on the field. Just make it at least a little better, and then lose control of the game :) - mouse and intuitive - the impact force can be adjusted pulling away the sight. At first, the game seems a little tight, but then it is a pleasure to play. 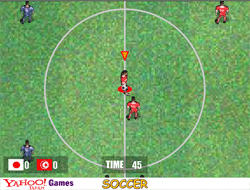 Description: In this game we sharpen the top corner to corner and get hit. 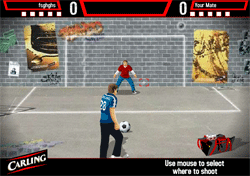 Description: The essence of the game is to allow more time otpinat ball against the wall, not letting it touch the ground. Fall exclusively to the bright rectangle in the center. Mouse only. Little reaction and the record provided to you. Description: You must hit all the balls. To do this, choose the way in which he will fly and the power that you want to recapture. Description: Football. The two halves of 45 minutes. You are given 6 teams of opponents and you have to win at all.